If you’ve ever suffered from a migraine, you’re certainly not alone. It’s estimated that more than 38 million people in the United States suffer from migraines, and that 2 to 3 million people suffer from chronic migraines. Although medication is helpful to some people, it doesn’t work for others. If you get migraines, you should always consult with your doctor regarding methods to lessen their symptoms. 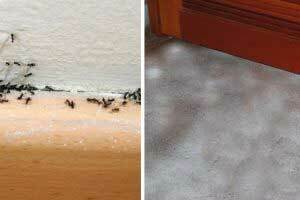 However, if you’ve tried everything with no luck, this simple (yet somewhat odd) solution may bring you some relief. 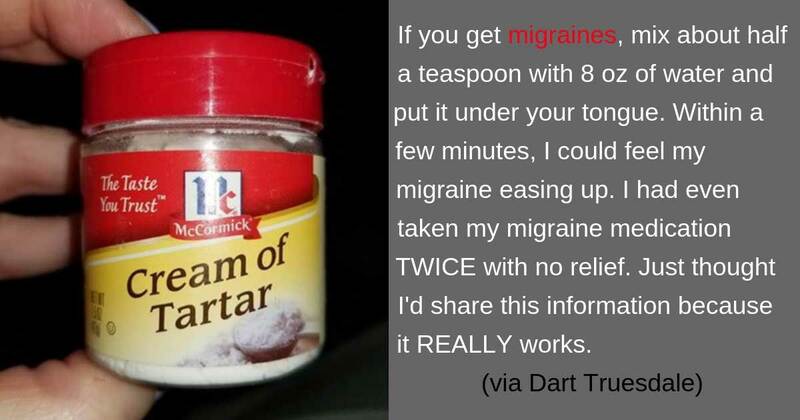 According to Shea Staggs-Houck, mixing together half a teaspoon of cream of tartar with 8 ounces of water and putting it under your tongue could bring you instant migraine relief. She revealed that within minutes, she felt her migraine began to let up. She had even taken her migraine medication twice with no relief, but thought to share this information because it truly did work for her. According to Hello Lovely Living, when taken with water, cream of tartar neutralizes the effects of MSG poisoning and raises the blood PH of the body creating an alkaline-forming environment. 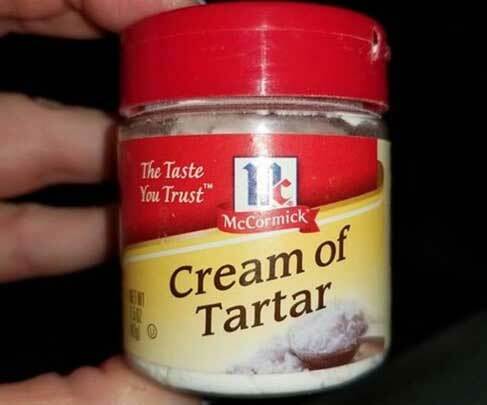 Cream of tartar is potassium bitartrate, and potassium is an electrolyte. So when paired with lots of water, your body will have what it needs to get hydrated and rid itself of toxins. Pretty interesting! We’re not saying that this method is guaranteed to work for everyone. 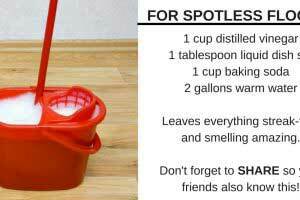 But if you’re looking for some at-home relief and nothing else is working, you might as well give this cheap, natural method a try.